Joe Montana on cover of Beckett Football Card Magazine #2 issue (Jan/Feb 1990) in mint condition. 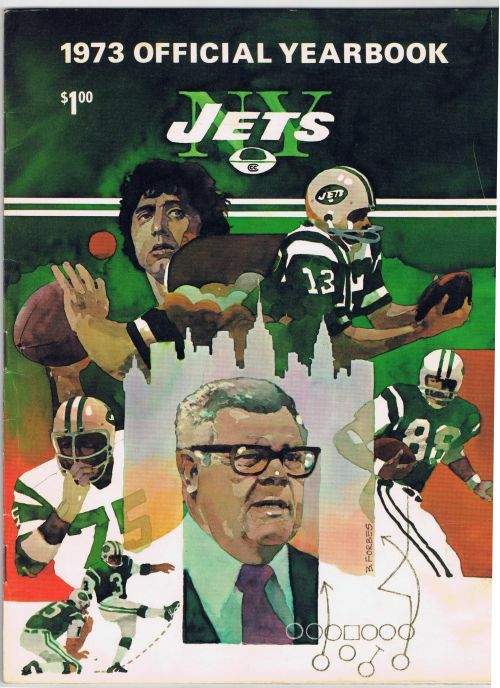 1973 NY Jets Yearbook in great condition. All pages are intact. 1981 NY Jets Yearbook in great condition. All pages are intact.